Here at Fighters Market EU, we've got loads of black BJJ t-shirts in our extensive range, which includes numerous reputable brands. Find brands such as Scramble, Progress and Kingz, amongst others. Find black bjj t-shirts at in number of price points, with a variety of designs. 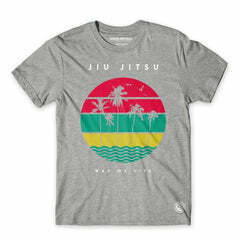 For more BJJ t-shirts, check out our full range.